Target Marketing Is Critical For Growing Your Direct Selling Business! Most Direct Sellers have trouble defining the target niche for their business in order to expand their warm market, take their lead generation activities to a new level and grow their business. Sometimes, the need to focus on a niche in the first place is just a hard concept to understand. A niche by its very definition seems limiting, and who wants to lose out on any potential new business? While this may seem like a really large concern, not missing out on the BIGGEST opportunities is exactly the point of narrowing your brand’s focus to a specific niche market! You are proactively marketing, promoting, and selling your business all the time by establishing new relationships…and relationships are formed by adding value. How do you add value if you are trying to appeal to everyone at the same time? Value is created when you help meet someone’s unmet needs. The more focused you are on a niche market, the better you can understand and focus in on meeting their unique needs and solving their particular problems. The best niche for your business is one that you are right in the middle of yourself. You may be a homeschool mom, a cancer survivor, a marathoner, ex-military, etc. Use that passion, interest or problem in life that you have overcome to reach out to a large niche market of people just like you! Not only will you understand their needs through and through, but they will see you as somebody who REALLY gets it and therefore gets them! You’ll have built in credibility and relationship-starting tools that you’ve never had before. AND YOU WON’T BE COMPETING WITH EVERYONE ELSE FOR THE SAME PROSPECTS. If that isn’t enough, your learning curve will be dramatically smaller because you selected a niche that you are right in the middle of yourself. You know your niche, their wants, needs and desires. You get them, and thus also get, better than anyone, how to motivate them into action. You will have carved out your own market, decreased your competition and increased your chances of success dramatically. It’s always easier to reach out and talk to people that you have a lot in common with anyways. 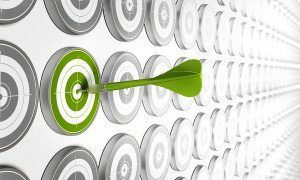 Selecting a target niche is the best way to great a whole new warm market of never-ending leads successfully! Think about it this way, it is essential to make sure that all of the efforts you make (with your limited time to market the business) are getting maximum return. You may have heard the saying, “Are you working hard at your marketing, or is your marketing working hard for you?” If you are going to be putting in all of that effort, you need to make sure that you are laser-focused on meeting the core needs of your target niche. The more focused those needs can be defined, the better job you can do addressing them with your brand’s promise! This will create a much stronger attraction to you and traction overall for your business! HERE IS A GREAT ANALOGY: Would you use the same fishing pole and bait to fish anywhere in the world, for any kind of fish? 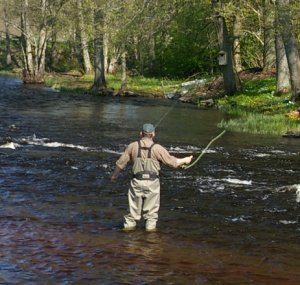 Fly Fishing? Catching Marlin? Of course you wouldn’t! You need very specific gear, bait and experience for each situation! I wouldn’t want to be at a professional fishing competition with my son’s Spiderman pole asking the guy next to me what we’re trying to catch! Give your business the best chance to succeed from the very beginning! Target your network marketing business towards a very specific and well-defined niche. NICHES ONLINE ARE NOT TINY OR LIMITING, BUT HUGE! Your niche will be the lifeblood for your business and much larger than you could ever imagine online. Now go out there and starting building new relationships with greater ease that you have ever done before! Very helpful and useful information. I am going to start creating my niche market TODAY! Absolutely LOVED this video. I believe I found my niche. Fantastic concept! And I am beginning to form my niche. So many people market to a younger age, so it should be very liberating to focus on women in my age group, we have a very different outlook on life and very different goals. Someone said something about a video. I didn’t see one. Looking forward to getting this process started. I get the importance of Target Marketing and creating a niche for my business. However, I get lost in the implementation and is because I have a hard time what about me could attract others. I know it sounds like lack of confidence or self-esteem but it isn’t that, it is just that I don’t know what part of who I am or my experiences would be the one of value.